The industrial simplicity of Lucien hides a number of deft design details – there's a concealed drawer at the front, and a place to thread wires at the back. 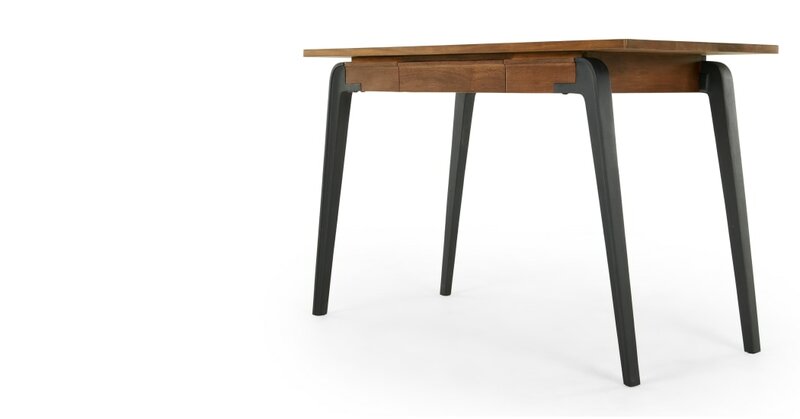 This desk is ideal for those who enjoy the finer things, thanks to its quality construction and use of luxe materials. It’s crafted from solid mango wood and finished with cast iron legs, lending this piece a modern industrial appeal.